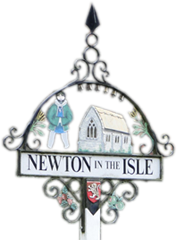 This is a website about the village and parish of Newton-in-the-Isle. However, from time to time, we come across or are asked to include information about opportunities, events or activities in the surrounding area that we feel might be of interest or relevance to people living in or visiting Newton. So we've created an Elsewhere page to accommodate these items. Elsewhere is not intended to be a guide to everything else happening in the world; that's what search engines and the internet are for, but feel free to suggest information for inclusion in this section. Do you have an hour or two a week to listen to children read in a local primary school? The highly successful Schoolreaders scheme is looking for many more volunteers in Cambridgeshire. No qualifications are required- simply a good command of spoken and written English. Schoolreaders is flexible and will match your availability to the nearest primary school looking for volunteers. Volunteers find it most rewarding seeing the impact that their time can make on a child's reading ability, confidence and enjoyment. If you, or anyone that you know, would like to join or learn more about the scheme and charity, please visit www.schoolreaders.org. For further information visit the website www.schoolreaders.org. or phone 01234 924111 or email admin@schoolreaders.org.